OrangeRx™ have created another excellent receiver after listening to customer feedback. 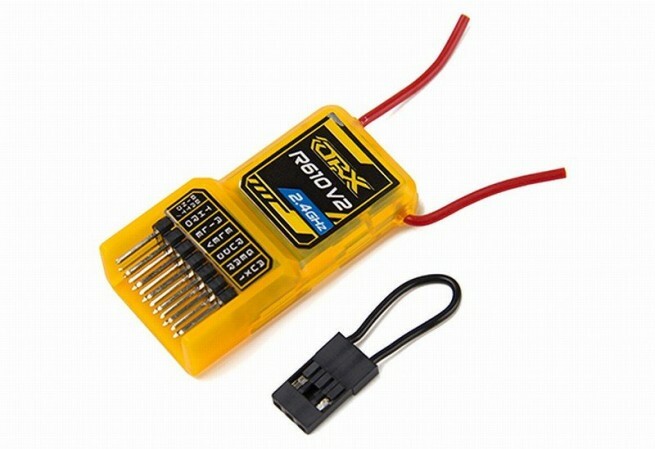 This lightweight 3.9g comes in a soft case to keep the weight down and can be used in multirotor or other applications where there is no need for a hard case to protect the receiver. 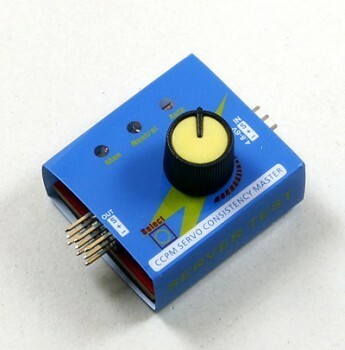 Compatible with all DSM2 2.4GHz Air transmitters and now featuring CPPM! The OrangeRx R610V2 lite takes things to the next level by offering CPPM, true DSM2 compatibility and utilizes dual antennae providing true signal reception diversity! Add to this programmable failsafe on binding, ultra fast brown-out recovery and wide voltage input range. The end result being an unbeatable value for the money multirotor/aircraft receiver! The all new CPPM functionality is an excellent feature for use with multi-rotor flight controllers such as the KK2.1, APM, MultiWii and others. This single line connection removes the weight and mess of additional wire leads for each individual channel. This is ideal for use on small frames where space is at a premium. OrangeRx receivers are built using original components, MCUs and with state of the art SMT automation to ensure a quality product each and every time. Every R610V2 is manufactured using impedance matched PCBs with exact tuning to provide signal stability and range that exceeds any of the previous generation ORX products. In fact, our testing has shown that the R610V2 exceeds the range of other receivers in the same class. All R610V2 Lite OrangeRx receivers are QC tested using our latest method that ensures range checking takes place as the receiver is programmed. Simply put, if the R610V2 Lite cannot pass the range check it cannot be programmed, this ensures 100% of R610V2 Lite are guaranteed to work flawlessly. The R610V2 heralds a new era of quality, reliability and performance for the OrangeRX line up.